Your card is beautiful! It has a very romantic feel to it! I think it is the swans- I love anything with swans! The ribbon itself, the color- really adds to the card, too! Nice job! Beautiful card, Donna. Just beautiful! 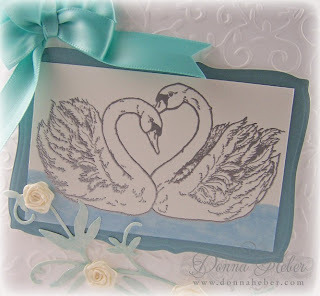 Love the swans in a heart shape! wow donna this card is very beautiful also the stamp. A beautiful card that is so soft, gentle and serene. Beautiful card! I just love that bow and that image. Swans are so peaceful. Stunning creation .Love the image and the lush bow . Love this card. I like the image. Just beautiful. So elegant! Beautiful bow and love all the shimmer! Such a pretty, elegant card! 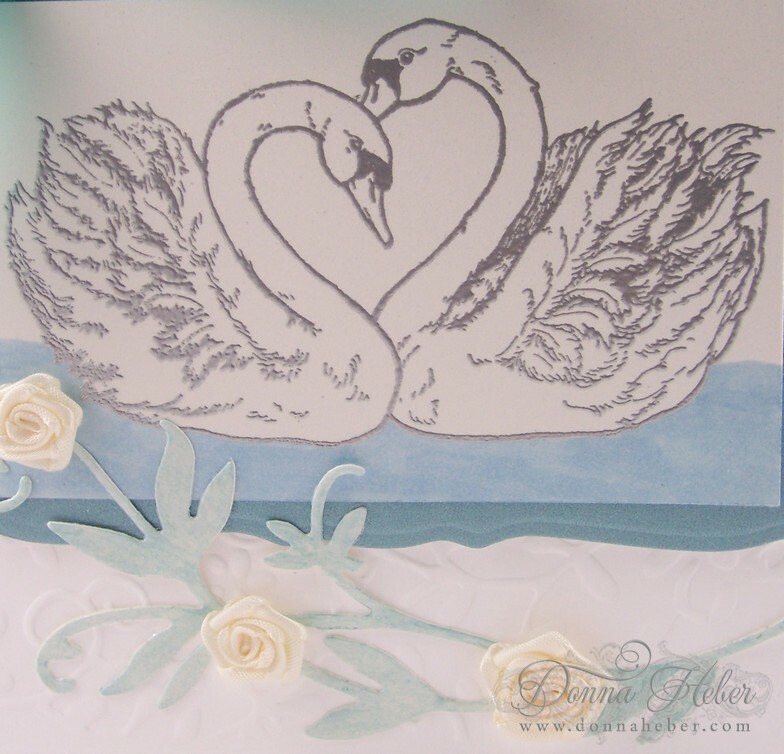 The swans and little roses are beautiful! Forgot to mention that I'm stopping by from MIM.